There’s been a lot for landlords, and their agents to deal with over recent years, but this one change has crept up on people and to many has gone completely undetected. On 1st April 2018 there was new Minimum Energy Efficiency Standards(MEES) legislation that came into force. As you are aware to rent a property over the last 10 years you have had to have an Energy Performance Certificate. However, the recent change now stipulates that it is unlawful to now rent a property, or renew the tenancy if the Energy Rating is less than an E.
Now, don’t think that by allowing your tenancy to become periodic gets you an extension to April 2020 because the view is that in allowing the tenancy to become periodic you are technically entering into a new tenancy agreement with the tenant, making it illegal to allow the tenant to remain in the property if the energy rating is not an E or above. At Boothroyd and Co we have spent two years readying our clients for this change, however only two days into April and our first new client instructs us in the rental of their property and it doesn’t conform to the new legislation. We are unable to advertise this property until improvements have been made, meaning this landlord will have downtime whilst the improvements are made. 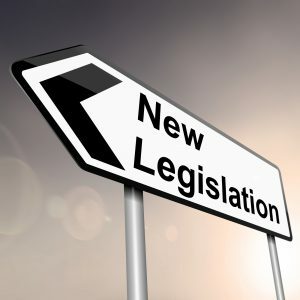 I would anticipate that there are a number of landlords, in particular those who self-manage their properties, that could easily fall foul of these changes. With a fine of up to £5,000 for non-compliance I would be looking to bring my house in order as quickly as possible. If anybody has any concerns, or needs any additional advice on their rental property please contact me on 01926 857244.